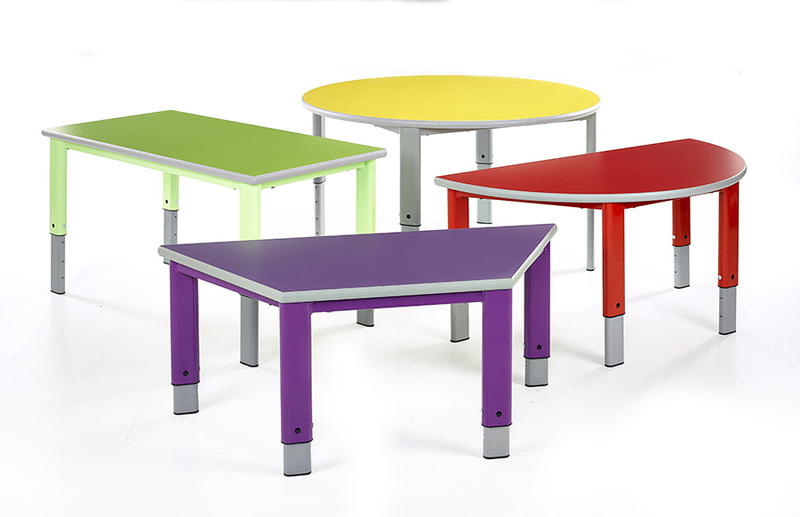 Supplied in packs of 2, the Start Right height-adjustable semi-circular table has been designed for use with in schools, pre-schools and nurseries where tables are moved between different year groups. 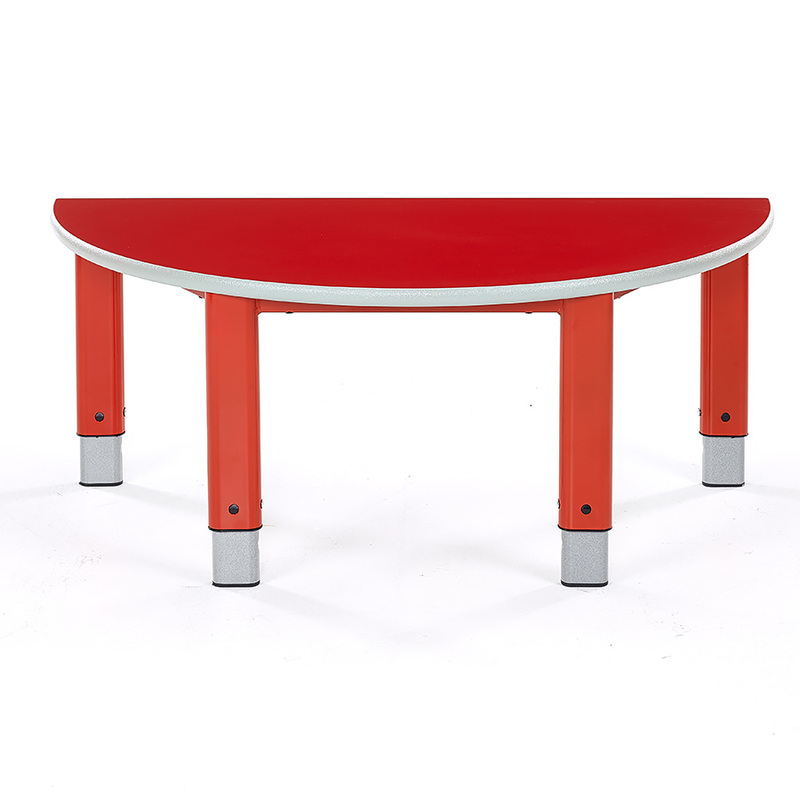 Each table can be set at 5 height positions, from 400mm to 640mm, and is suitable for children aged 2-11 years. Height is changed with a simple Allen key adjustment (Allen key supplied). The 1200mm x 600mm hard wearing table top is available in 7 vibrant colours and is finished with a textured light grey spray PU edge. 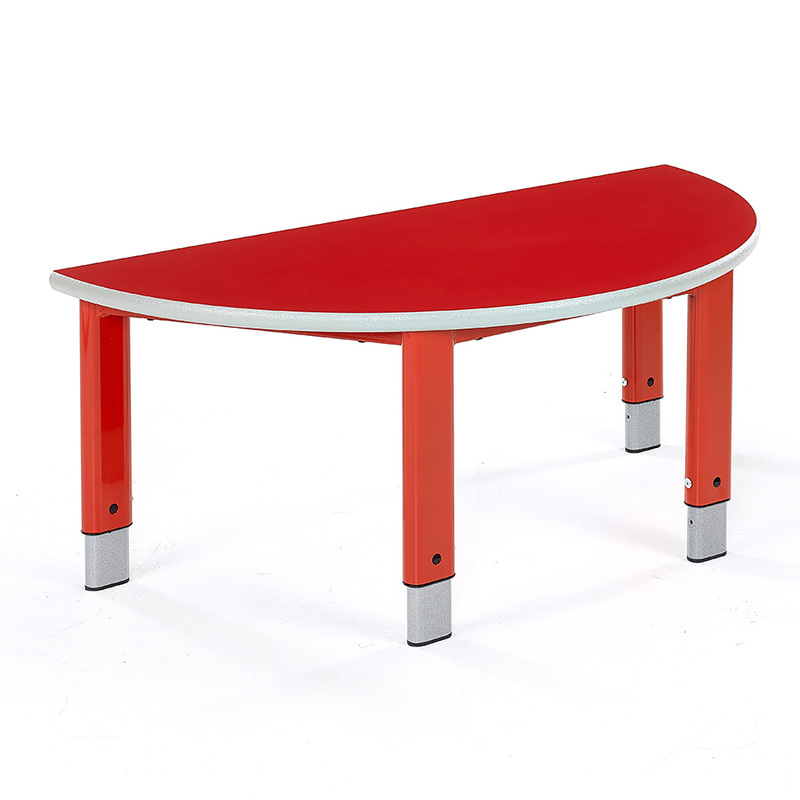 The colour co-ordinated oval shaped legs include sliding metal inserts finished in a speckled light grey paint which allow you to adjust the height of the table. 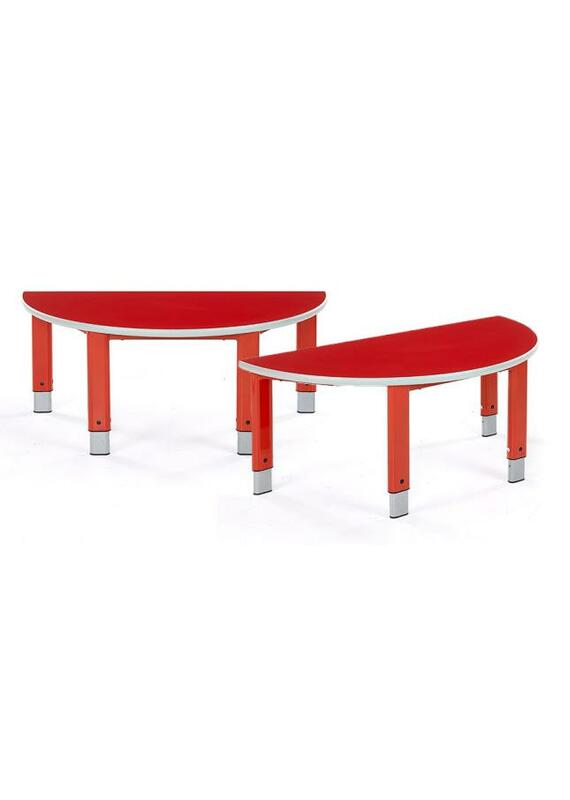 The Start Right semi-circular table is supplied in a pack of two and comes with a 10 year guarantee. The Start Right range includes Trapezoidal, Rectangular and Circular tables. These can be used together to create different shaped table groups in any classroom.